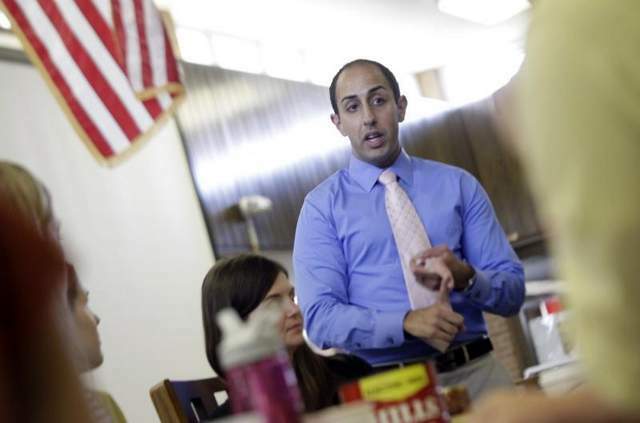 Being Michigan Teacher of the Year: Reflections On a Three-Year Ripple Effect in Teaching | Gary G. Abud, Jr. This entry was posted in Education Leadership Michigan Teaching and tagged Education Leadership MichEd Michigan Teacher Leader Teaching on May 16, 2016 by Gary G Abud Jr.
It’s been three years since I was selected as the 2013-14 Michigan Teacher of the Year and, as a result, my work in education continues to have a ripple effect that goes well beyond the four walls of his classroom. Back in May of 2013, I was teaching physics students about how electrical circuits worked and our class was building computer speakers to play music from their cellphones. An email came through from the principal that the State Superintendent, then Mike Flanagan, who was coming for a visit to our school to drop in on classrooms and see the great things happening at Grosse Pointe North High School, wanted to address the student body in an impromptu assembly after lunch to commend them on their achievement. I knew that I was a state finalist for the Michigan Teacher of the Year honor; however, I wrote off the visit as a coincidence. And I distinctly remember the feeling of butterflies in my stomach as I wondered, “What if this isn’t a coincidence?” It turns out that my reaction to the email during class was noticeable and the students wanted to know what was getting such a reaction from me. When I told them what was going on and why I was noticeably moved by the email, they said “it’s you!” And I again wrote it off as a coincidence and tried to humbly shrug off that compliment and get back to our engineering project. But it turns out the kids were right, and I did end up getting to to meet Superintendent Flanagan that day, as that assembly and site visit were no coincidence. The all-school assembly was to surprise me with the Michigan Teacher of the Year honor. During the 2013-14 school year, I was fortunate to have the opportunity to work outside of the classroom in my district, the Grosse Pointe Public Schools, in the curriculum department to support professional development for staff throughout the district. Meanwhile, I served in an advisory capacity to the State Board of Education, and visited schools around the state to learn about what is taking place in Michigan classrooms. This experience afforded me the chance to work with a statewide team of educators to develop and launch a successful science, technology, engineering, and mathematics training program for Michigan teachers at the secondary level – The Michigan Modeling Instruction Program – and take part in work that impacted thousands of classrooms around the state. My school district was extremely supportive to my work in our schools as well as the collaboration with the Michigan Department of Education. I was enrolled in the Galileo Leadership Consortium’s two-year teacher leadership academy with over 120 other educators from southeast Michigan, and I got to take part in the National Teacher of the Year program with the Council of Chief State School Officers, which included the chance to meet a game-changing mentor, Jon Quam, work with the U.S. Department of Education, and meet with President Obama at the White House. This year of honor, recognition, and service led to tremendous professional learning for me and, in turn, influenced the work I got to do for Grosse Pointe Public Schools and beyond. It ended up that I accomplished everything on my goals list to have what I would consider a ripple effect and then some. Having the opportunity to learn at the local, state, and national level through the Teacher of the Year Program, about education opened my eyes to the great work of teachers in all regions and students in classrooms everywhere. It expanded my perspective on teaching and learning, but most importantly gave me the crucial leadership development that I needed to leverage my existing skills and talents to impact education on a larger scale. It was humbling to know that I was working to represent what is great about Michigan’s classrooms and over 100,000 Michigan Teachers, and that responsibility gave much a far deeper respect for the complex work of teaching than I ever had before. As a result of my work as Michigan Teacher of the Year, the administration in Grosse Pointe invited me to spend a follow-up year in a district-level position supporting teaching and learning through professional development. This year, I was able to transition back into my previous classroom teaching role as a science and technology teacher, which gave me the chance again to work with the students in a meaningful way. In addition to my classroom teaching duties, since being selected as Michigan Teacher of the Year in 2014, I have spoken at TEDxDetroit, co-founded #LoveTeaching Week in February, which is a positive social media campaign for educators, with two friends, Tom Rademacher (2015 Minnesota Teacher of the Year) and Sean McComb (2014 National Teacher of the Year) from Maryland. 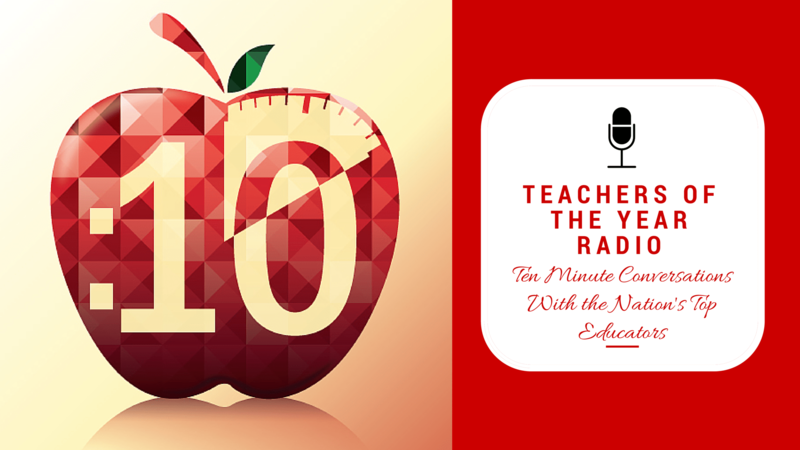 I also co-host a weekly podcast, Teachers of the Year Radio, with the 2014 Indiana Teacher of the Year Steve Perkins. Beyond these unique professional projects, and collaboration with the amazing teachers I have met around the country following my year of service as Michigan Teacher of the Year, I was invited to join the Board of The Meemic Foundation. In this esteemed role I can continue to support classrooms across the region and help make learning better for kids, by sharing with others the same support that I received from The Meemic Foundation as Michigan Teacher of the Year. That has allowed me the chance to work with some inspiring individuals to provide grant opportunities to classrooms, organize professional-learning opportunities, and collaborate with national organizations such as the National Network of State Teachers of the Year, and the amazing Michigan Teachers of the Year who were to follow in 2015 (Melody Arabo) and 2016 (Rick Joseph,) to create conference experiences teachers. What has been so rewarding about this experience is that now I get to use all that I have learned to impact my own teaching and create an even richer learning opportunity for the students in my classroom. The kids are currently conducting action research term projects in the areas of science and technology as part of The Google Science Fair, and together we are preparing the next generation of scientists to make the world better. As this 2015-16 school year comes to a close, I am finishing up my school administrators certification and have aspirations to eventually move into a school leadership role where I can continue to use my creativity and expertise to support teaching and learning. Ultimately, these experiences, and so many more, would not be possible without the support of my home district the Grosse Pointe Public Schools, the Michigan Department of Education, and an education-minded program partner like The Meemic Foundation. The Michigan Teacher of the Year Program gave me the chance to impact so many classrooms beyond my own while developing into the teacher leader who I am today. And for that, I am grateful! By helping to make this opportunity possible each year for an educator in the Great Lakes State, The Meemic Foundation is helping teachers to lead in our region and beyond, which has a positive impact at the local, state, and national level on teaching, leading, and learning.